How It Works - Refine All Metals Ltd.
buying your old gold, silver, and platinum quickly, easily, and securely. Our facility is conveniently located in in Thornhill, Ontario, located on the North East corner of Dufferin Street and Centre Street – right next door to the Tim Hortons. Gather all your unwanted gold and precious metals and those gold jewellery you no longer wear and drop by with your precious metals and enjoy an easy, hassle-free experience. We will evaluate your items with you as a team while you are in control of your items all the time. If you accept our offer, we’ll pay cash for your gold, silver, and platinum right there on the spot while you wait – no waiting for cheques to arrive or chasing after the buyer. 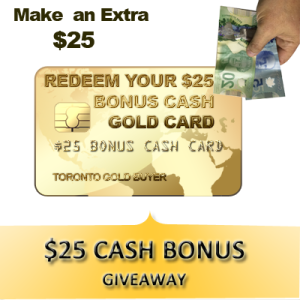 Just walk in with your old gold and walk out with fast, easy and extra cash. We are 100% unconditionally committed to customer’s satisfaction! Simply fill out Our Online Form, and we’ll send you a kit that contains all the materials you need to ship your items to our gold refinery. Place items containing gold, silver, platinum and palladium in the padded envelope we provide, and send it right back to us in a pre-paid, pre-addressed return shipping envelope using Canada postal services. Your package will be insured against loss or damage for up to $100.00 in value. You can track your package using the tracking number that we provide to you. We now also insure packages with higher value up to $500(call in for details). 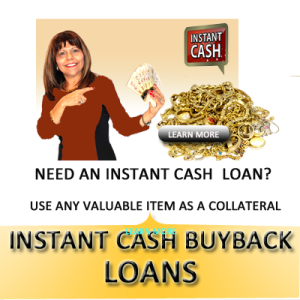 Also, CashGold Canada now offers a FREE FedEx shipping for customers who need a faster service and up to $1000 insurance to getting cash for their gold. worry and risk free! Call in for details. Please do not send jewellery that is not stamped, jewellery that is known to be gold-plated, or costume jewelry. We can not buy it, and will incur unnecessary shipping charges sending it back to you. After we receive your package, we will photograph the content of your package for the purpose of tracking your items. We then evaluate the contents to determine its value and mail you a check or a bank wire or pay you out immediately via Paypal within 24 hours of receipt of your items, guaranteed.